The new rule, widely condemned by scientists and environmental groups as an “attack on science,” comes nearly two weeks after the White Housequietly revamped clean air rules by executive order. Pruitt made the announcement at a 2 p.m. event live-streamed from the EPA, flanked by Rep. Lamar Smith (R-Texas) and Sen. Mike Rounds (R-S.D. ), who both introduced but failed to pass bills on which the proposed regulation is based. In a twist for an event billed as a step forward in transparency, Pruitt took no questions, and the EPA did not invite reporters from major news outlets to attend. The agency did not immediately release a copy of the proposal or respond to questions about when it would become public, issuing only apress releasecontaining seven soundbites praising the rule. Roughly an hour and a half after the event, the EPA sent HuffPost a 27-page PDFof the proposal. 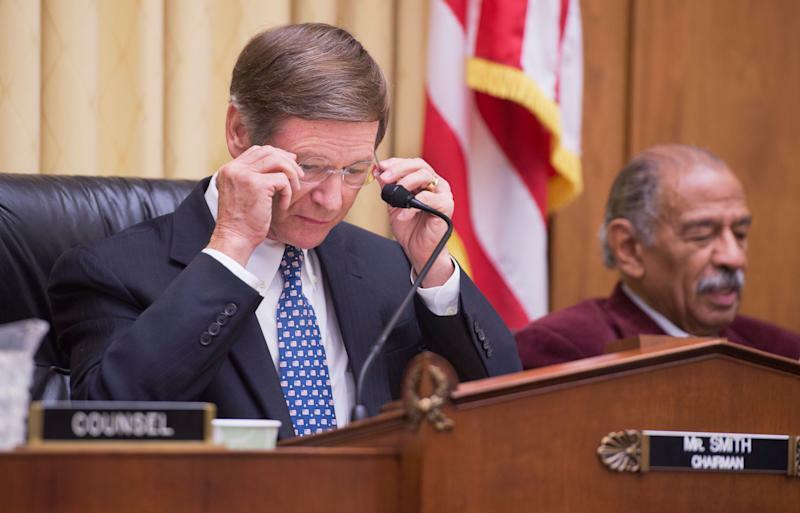 The proposal aims to do by EPA writ what has been a pet issue for Smith, the controversial head of the House Committee on Science, Space and Technology, for years. Smith has pushedtwo billsaimed at forcing the EPA to rely solely on research whose raw data could be publicly released, a bow to big industry players, particularly petrochemical companies who complained about research finding higher rates of asthma and other respiratory ailments that resulted from airborne particulates spewing from their plants. The bills passed in the Republican-controlled House, but failed in the Senate. Steve Milloy, a former tobacco lobbyist who recreated himself over the past decade as a staunch climate change denier and online troll to scientists and reporters, has long pushed for a “transparency” rule, bemoaning the “EPA’s secret science” in aFox News op-edas far back as February 2001. On Tuesday morning, he took credit for the EPA proposal. The new EPA proposal comes as Pruitt faces mounting pressure to resign after a month-long whirlwind of ethical scandals and federal investigations into his spending and management of the agency. After weeks of signaling strong support for the administrator, the White House started telling Republicans to hold off on defending Pruitt, according to aBloombergreport. But, on Monday, three of Pruitt’s staunchest allies, including Sen. James Inhofe (R-Okla.),said they supportedholding hearings on the Senate Environment and Public Works Committee to investigate Pruitt’s actions. At least one former EPA official suggested the rule unveiled Tuesday was meant to smokescreen Pruitt’s weakening grasp on the agency.